The reproduction, distribution in any method whether online or offline is strictly prohibited. The work on the website and the images, logos, text and other such information is the property of www.miltonkeynesartificialgrass.co.uk ( unless otherwise stated ). www.miltonkeynesartificialgrass.co.uk reserves the right to make any modifications or corrections to the information you find on the website at any time without notice. We at www.miltonkeynesartificialgrass.co.uk reserve the right to make changes and to revise the above mentioned Terms and Conditions of use. Unless otherwise organised with us, somebody must be at the delivery address to receive and sign for the goods on the day you have agreed to receive your order. If no one is in at the delivery address to take the order and sign for it, you will be charged a minimum amount of £25 + vat for us to redeliver the order. Please carefully read our delivery terms below. 2. Check to ensure that all items ordered have been delivered. (Please note the joining tapes, membranes and glue may be packaged inside the core of the roll/rolls. They may be also wrapped individually or in a box). 3. Check for any damages before you sign for the goods on arrival (the rolls are kept supported during transit and should not be bent or folded up). Please do not sign if the goods are damaged in any way. Note: Delivery is paid only to the front door of the address given or loading bay if you are a business. We do no have to lift the heavy rolls to a desired location of yours. Thus may be done out of goodwill by the delivery driver however this should not be expected! Please take extra care in lifting and moving the items as they can be very heavy and bulky. Same Day and Next day deliveries are not always guaranteed but we always endeavour to deliver within 48 hours. There is no specific time of delivery and we can not give any notice with regards to time however we delivery within working hours which is usually between 9am until 5pm, Monday to Friday. If you are expecting a delivery and it has not arrived by 3:30pm on your scheduled day, please call our office on 0845 299 3879 quoting your order reference number and we can help with an ETA. If you keep missing the agreed delivery day, then you will be charged a further administration fee £25.00 + vat each time this happens. In case where a special delivery arrangement has been made (available at an extra cost of £30 + vat) an ETA will be agreed. We will endeavour to arrive within 1 hour (depending on traffic) of this slot and you will be updated by our driver via text or a phone call. Please ensure that you confirmed any additional instructions with the person you placed your order with and definitely a mobile telephone number so our driver can contact you in case of any delay. No goods will be delivered without an authorised signature and the original delivery address can not be altered. If for some reason you are not on the available on arrival to sign for the delivery, a new delivery date shall be arranged at your convenience and another full delivery charge will apply. This will be the full cost of the redelivery. If you are receiving a grass or carpet roll, please note artificial grass rolls cannot be folded or bent. 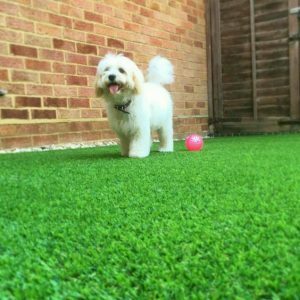 You must make sure that when you place your artificial grass order, you inform us whether you expect the roll be moved to a desired location (e.g. If you have expect it to be carried upstairs, lift, etc). If you do not inform us of any location other than the front or side door/garden gate (so far as accessible) and cannot accept the delivery for this reason, the you would still be liable for the delivery cost the cost of returning the roll and we shall refund you less delivery charge and a 25% re-stocking charge of cost of the original order. This re-stocking charge will not be applicable if you set up another delivery date, however please be aware that there will be another carriage charge to re-deliver. Our delivery driver is not covered by insurance to carry or move the roll to your desitred location of your address. This could be your back garden, shed, garage, balcony or any other location. We advice that you have or arrange 1 to 2 at the delivery address to help you carry your your order. We shall not liable for any losses of profit or other direct or indirect losses that the customer may suffer as a result of the goods being faulty, damaged, lost or delayed in transit by our driver of which we may have no control. 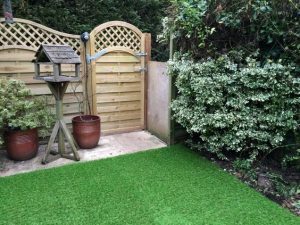 Our artificial grass sizes and calculations are a guide only and cannot be fully relied upon for your project if you have supplied your own measurements and plans. Please double-check any measurements before you start your installation as we cannot be responsible for this. It is your responsibility to ensure accuracy before cutting it. Our products are sold as per it’s technical specifications. It is your duty to request a technical product specification sheet before you order. All our products are sold with the following tolerances: Roll width: +/- 2 cm. Weight, Height, Stitch Rate: +/- 10% of product specification. Please be awe that each production batch may vary slightly in yarn colour tone, blades and may differ slightly from the original sample you that you may have received. Please ensure that the material is free from any unacceptable faults or imperfections. Roll out all surfaces before any install starts to double check it is the right product you ordered. We cannot accept liability for products that were installed and customer realised that was faulty or inaccurate. So it is your responsibility to check and inform us by email within 24 hours of receiving it. NOTE: You are advised to roll out the artificial grass to check for any faults and roll back up with 24 hours of signing for it! In the event where the products are not fit for use, you must inform us immediately so that a replacement can be arranged for you. Failure to do so within 24 hours of receiving it will result in an extra charge being incurred. If you require installation advice, then request for our detailed artificial grass fitting instructions. Call us 0845 299 3879 for further advice if required. Our grass products are sold by the sqm meter and are cut to order so any item that has to be returned (ie; unable to accept on delivery), will be subject to a 25% re-stocking charge and the customer will be liable for all of the carriage charges in returning the item. 1. Regularly remove any leaves and/or debris using a leaf blower (for best results), stiff brush or plastic artificial grass rake. 2. As the grass surfaces are a perfect germination for seedlings, applying a weed killer once or twice a year is key. If there is no dirt or soil transfers, artificial grass surfaces are pretty much self-cleaning. Should your grass need cleaning, hose it down with a light detergent and a stiff rubber brush (or a power brush for best results). 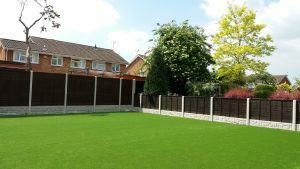 You can also sign up for an artificial grass maintenance plan with Milton Keynes Artificial Grass.